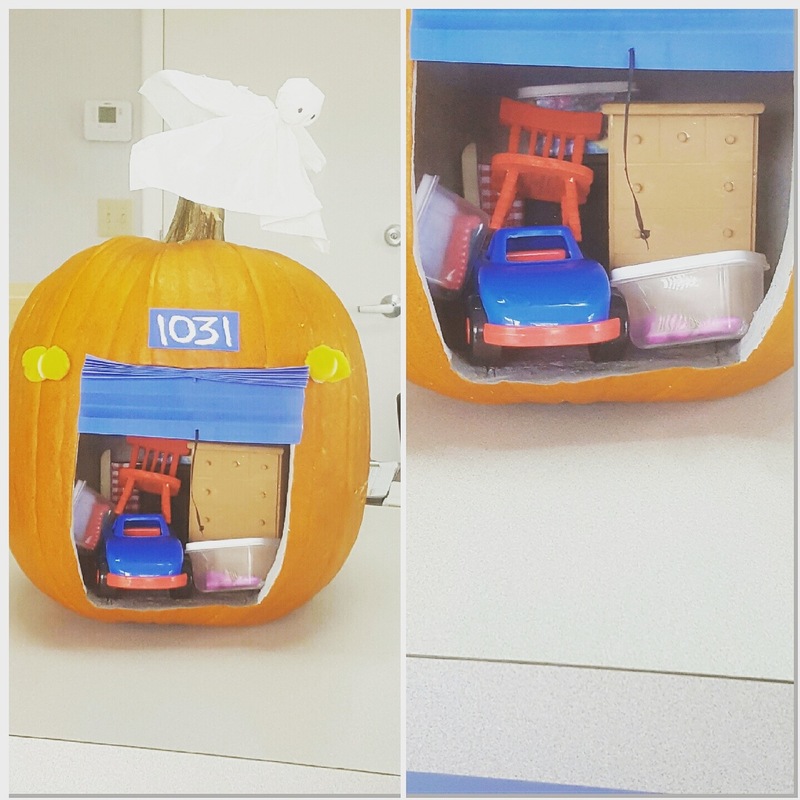 This is one of the most creative uses of a pumpkin we've seen so far. Instead of just carving a design on the pumpkin, they hollowed it out and filled it with toys to create a storage locker, like the kind you see on Storage Wars. Who knows what kind of treasures could be hiding inside this unit. Maybe there's a really rare collector's item in there, although I think reeking of pumpkin might depreciate its value a little bit.